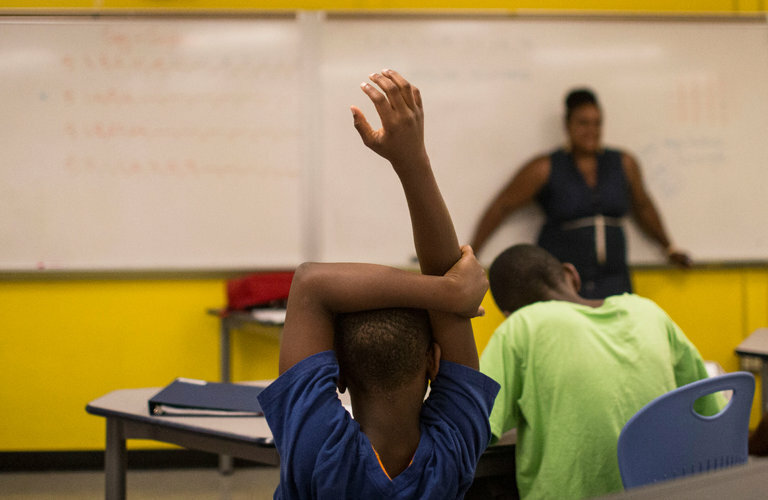 The Question: Should Charter Schools Be Able To Certify Their Teachers or Not? The issue of how to train teachers is an important one, especially now that unions, especially teacher unions, are "on their way out" according to many people in the education field I have spoken to in the last three years. Charters want, and major media want, charters to be able to train their own teachers, while the teachers' unions and many States want to stay with a teacher certification process which takes almost two years. See the article in the NY TIMES below. The solution may well be a combination of these approaches, but whatever the end result is, we need to tie the certification process to an evaluation and rating system which is fair and reasonable. And, please let's stop the philosophy that senior teachers are garbage. When schools reopened in New York last week, students were greeted by teachers who had spent the summer preparing for their return. Unfortunately, many of those teachers had had to devote some of their time not to lesson plans, but to a cumbersome state teacher-certification process that emphasizes bureaucratic procedures more than real-world qualifications. So as a teacher who recently had to jump through the New York certification hoops, I was pleased to learn that the State University of New York Charter Schools Institute, which authorizes charter operators, is considering allowing charter schools to certify their teachers themselves. The comment period for the proposal closes on Monday, and the institute could approve it as early as next month. Here’s my story. In February 2015, I was delighted to receive an offer from Democracy Prep Public Schools, one of New York City’s thriving charter school networks, to join an innovative new educational program called Pathways, for students with disabilities. There was just one problem: I was not certified to teach in New York State. That I did not possess the requisite certification did not mean that I lacked the requisite qualifications. When I received my offer from Democracy Prep, I had already spent six years of teaching and coaching aspiring teachers in Boston and Chicago. As a graduate of Boston Teacher Residency, an alternative teacher-preparation program based in Boston Public Schools, I am certified to teach in Massachusetts. I also have a master’s in education from the University of Massachusetts, Boston. Nevertheless, because of New York’s approach to teacher credentialing, it took 18 months, three exams, one teaching portfolio, countless hours and about $1,000 for me to get my initial certificate through reciprocity. And I’m one of the lucky ones. Because I was already certified in another state, I did not have to take additional graduate courses. Democracy Prep even reimbursed all of my application and exam fees. Still, I found myself having to divert precious time from my work in the classroom to study for exams and compile a teaching portfolio just to demonstrate that I was a competent teacher, which I had already proved six years before in Boston. It can be a daunting task, one that can deter great prospective teachers, or prompt already great teachers to leave the field rather than deal with the paperwork involved in getting certified in a new state or renewing their certification. Even as charter schools become more numerous and more popular, they are having problems finding enough instructors, and so they rely on young, new teachers, often from nontraditional programs like Teach for America, who have yet to receive certification. Under the Charter School Institute proposal, schools would be able to design their own training programs and certify teachers. These new teachers would have to get a minimum of 100 hours of “field experience” under the supervision of another teacher and 30 hours of “content core” instruction, among other requirements. Many charter schools, including Democracy Prep, are already in a position to undertake such programs. By mid-August of this year, I was headlong into summer professional development. Teachers at Democracy Prep engage in approximately 240 hours of training throughout the school year. I also receive constant feedback and support to improve my teaching practice and help students grow. I am observed weekly by school leaders, instructional coaches and other network staff members. At the end of each trimester, I sit down with my principal to review my performance and progress and to set goals for the remainder of the year. While some unions and professors at teachers colleges have criticized the certification proposal, my experiences in schools around this country have taught me that no one actually cares where or how you learned to teach. No one has ever walked into my classroom and asked to see my degree or questioned my qualifications; all that has mattered is the classroom environment that I’ve helped to create, the relationships that I’ve built with students and families, and the growth of my students. Limiting the ability of schools to attract great teachers makes little sense. It’s not important to our students whether their teachers went through a traditional graduate school of education, Teach for America or a charter school training program; all that matters is that they get the very best teachers that we can give them. Our communities, schools and students deserve the highest-quality teachers, not merely the ones with a paper certificate. Willie Gould is an arts and literacy teacher at the Democracy Prep Pathways charter school in Harlem.